during the last three years, the Healthy Diversity partnership has researched and addressed various aspects of diversity and intercultural interactions in the healthcare sector in Austria, Denmark, France, Hungary, Italy, and the UK. The project activities started with workshops and interviews with healthcare professionals and patients, aimed at collecting individual stories of critical situations arising from interactions with people from a different cultural background. The stories were then analysed through the Culture Shocks methodology developed by the French social psychologist Margalit Cohen-Emerique, and the final selection of 60 “critical incidents” was categorised and organised in the Manual of Critical incidents. Have a look at the collected stories! have you experienced similar issues?, how did/would you react? Our journey continued with the research and selection of medical anthropology studies based on multidisciplinar approaches to health and wellbeing. The Medical Anthropology Reader consists in a literature review of 12 texts combining medicine, psychology, sociology, anthropology as well as cultural and migration studies. An interesting reading also for non experts! Moving to the analysis of the state of the art as to health and diversity from an institutional perspective, in the second year of the project we have also developed a Good Practice Collection consisting of a Collection of 20 Good Practices from various types of healthcare institutions across Europe and an Assessment Tool for implementation and self-assessment of projects and new efforts aimed at the improvement of diversity management and intercultural competences in the healthcare sector. Thus, the Assessment Tool presents concrete examples on how to be exact in the formulation of all stages in the overall chain from implementation to final results and evidence of impact in accordance with success indicators. increase the understanding about internal, contextual and cultural factors affecting individual behaviors and social interactions. raise awareness about socio-cultural diversity and its relevance for medical and social care practice. promote intersectional thinking between different health and social care settings. 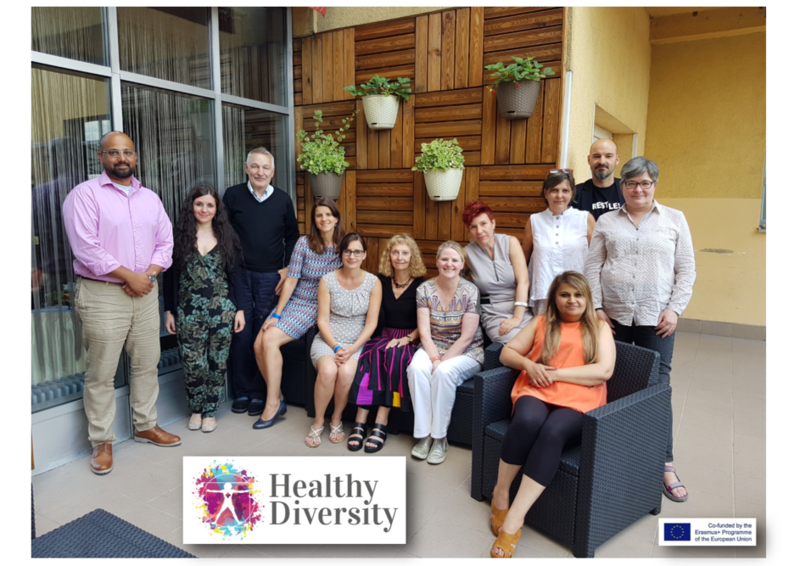 Besides the tangible project results, the Healthy Diversity project has also allowed 16 healthcare professionals from the partner countries to take part in international mobilities and trainings. The first mobility took place last summer in Palermo (Italy) on occasion of the joint staff training to test the developed training activities, whereas the second group had the chance to participate in the project final event hosted in July by the Hungarian partner in Budapest. It consisted of an international interdisciplinary conference on health and diversity with keynote speakers and roundtables (2-3 July), followed by three days of training. 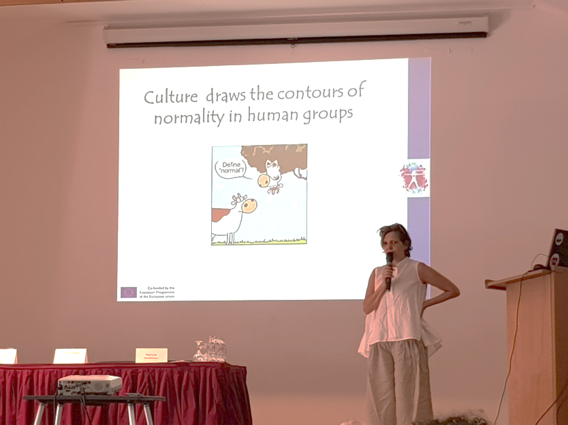 Lastly, we have had the chance to present the project during many high-level local and international events, amongst them a national conference on intercultural pedagogy at the University of Rome “La Sapienza”, a multi-stakeholder policy roundtable on migration and health in Palermo, and the Biannial Congress of the European Society for Health and Medical Sociology (ESHMS) in Lisbon. To conclude, through all our pedagogical resources, we offer you the chance to step out of your comfort zone and start questioning yourself about your cultural identity and the approach to diversity in your daily work. Stop being politically correct with yourself, discover your sensitive zones and develop strategies for more conscious and effective intercultural interactions!